I am so sorry I did not have a chance to do any blog post during my 3 week stay in Thailand. Wi-fi was so unstable at my mother's and I had to use my brother's Personal Hotspot with my iPhone and iPad - and it was painfully slow. I also had a bit of tummy upset and a few days out of action in the first week back home. Anyway, now I am back here - and New Zealand just beat Australia in World Cup Cricket ODI. Just one wicket but that's more than enough. Bangkok has been changing every year I fly back home - this time there was no exception. More buildings, more motorways, more elevated train rails and it seemed to be more people. I will post about things in Bangkok later. Today I will talk about my first trip to Chiang Mai in 15 years. I flew out to Chiang Mai with my dear friend who is permanent resident of this city in the north. The market for low cost airlines is booming and travelers can benefit from many choices of airlines from 2 airports. Several domestic and regional flights depart and arrive at Don Muang Airport (this is the old Bangkok International Airport - a bit sad and tired, honestly). Low cost airlines such as Thai Air Asia, Nok Air, Thai Lion Air are based at Don Muang which is very handy for me as it takes only 20 minutes to travel to the airport from my mother's. If you are closer to Suvarnabhumi Airport (the new Bangkok International Airport) you can choose Air Asia, Bangkok Airways,Thai Airways and Thai Smile. You can buy your ticket, select you seat and check in on-line - very easy. You can change departure times but not the routes - if you don't have fixed schedule, you might want to buy one way to start with. Nok Air is very OK in my opinion. Although their fleet is a little bit vintage but their service is wonderful. I flew back to Bangkok with Thai Lion Air and I will post about this later. 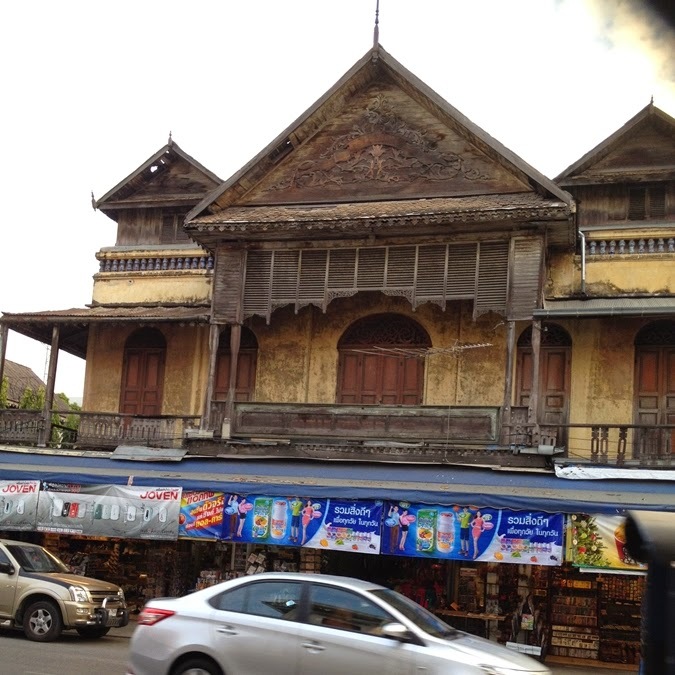 Chiang Mai has also changed dramatically in 15 years but it still has its old world's charm in some places. I wish someone would invest and restore this nice old building above to its former glory. From Chiang Mai Airport we went straight to lunch at Lanna Rice Barn or Lam Khao Long as the locals will call it. 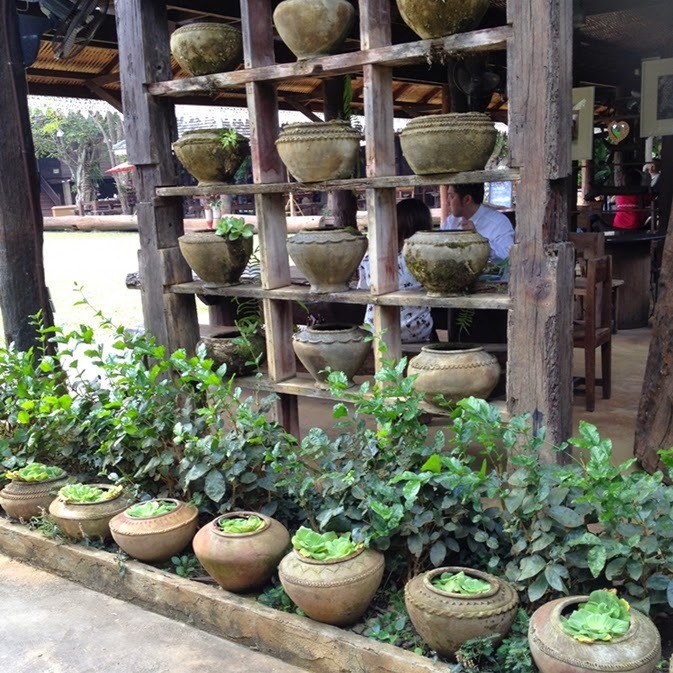 This restaurant has been converted from the old rice barns and buildings into restaurant and homestay. 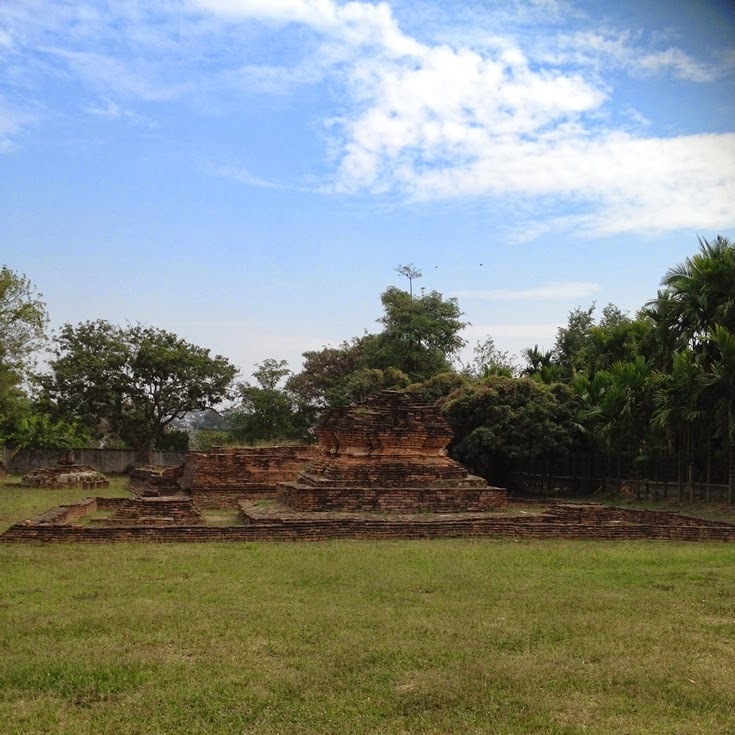 It is quite close to Wiang Kum Kam, the ancient settlement that was flooded and abandoned 700 hundred years ago. 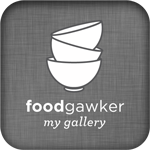 The food was typical northern fare and very tasty although I could eat much but I enjoyed the beautiful flavour and atmosphere. 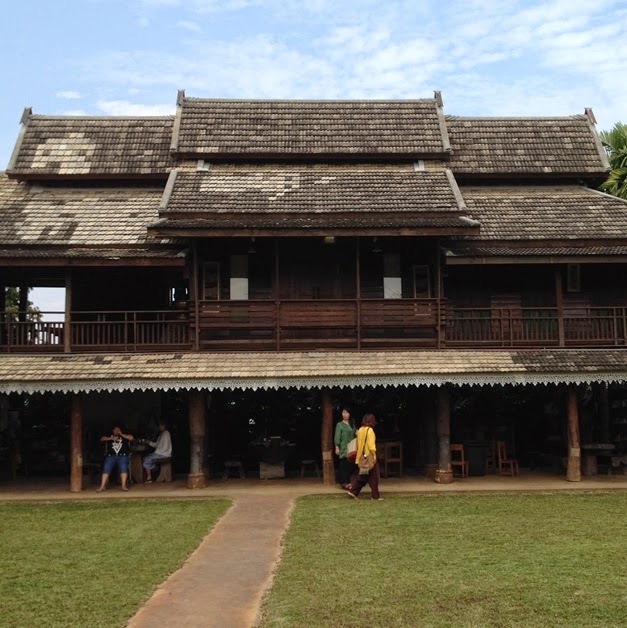 Allow a couple of hours here to explore Wiang Kum Kam if you can.